A shady surprise of beauty that takes our breath away. This perennial is the hallmark of the shade garden and compliments a dense, fern-like foliage with a beautiful spot of color that is sometimes referred to as a “goat’s beard”. You know that one spot that doesn’t quite get very sunny and nothing grows there? 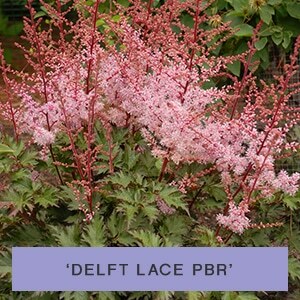 The answer: Astilbe – the full to partial-shade perennial. 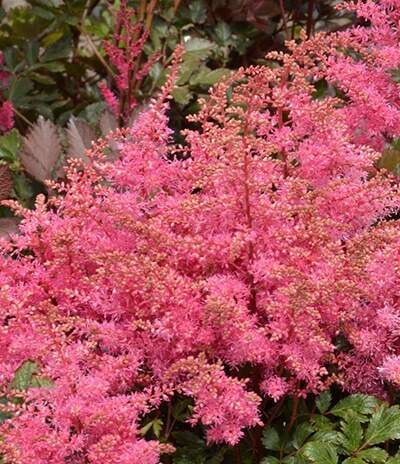 The Astilbe thrives in the shade and if given a bit of sun now and then the color will really pop. 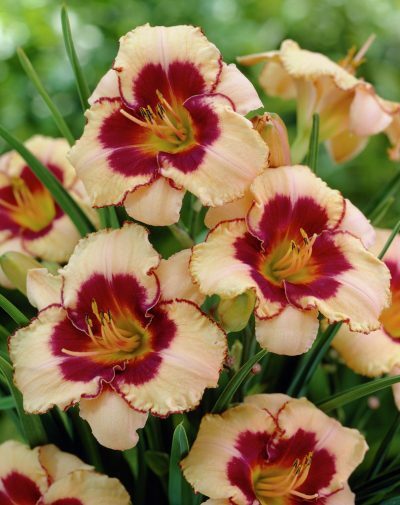 It’s hard to find a plant that combines both colorful beauty and striking foliage. 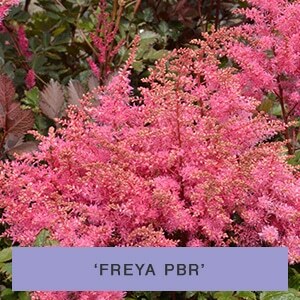 The astilbe foliage will give the garden a lush background to compliment stunning plumes of color. usually take a little longer and ‘Bridal Veil’ will flower even a little later. Astilbes prefer a pH range about 5.8 to 6.2. We suggest using any bark-based, well-drained, commercial soil-less mix. 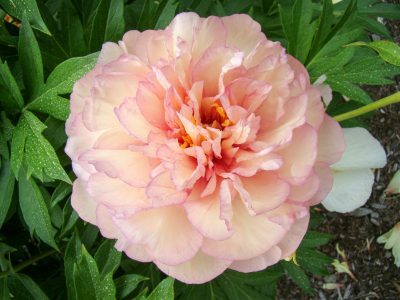 allow plants to reach their optimum size and quality. 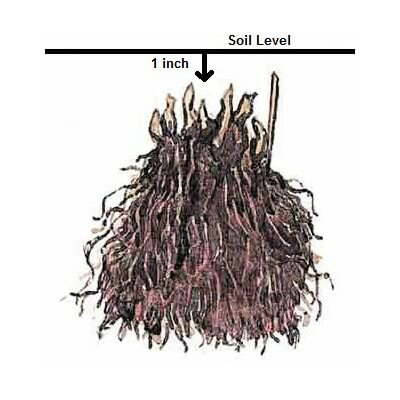 Roots may be trimmed to fit the pot if absolutely necessary. Plant the crown/eyes just below the soil level. Plants can be placed pot to pot until growth reaches beyond the pot. Thereafter, space plants to prevent elongation and thin growth. damaged roots if the soluble salt levels are allowed to build up.